Oceania is a geographical division of the Planet Earth. 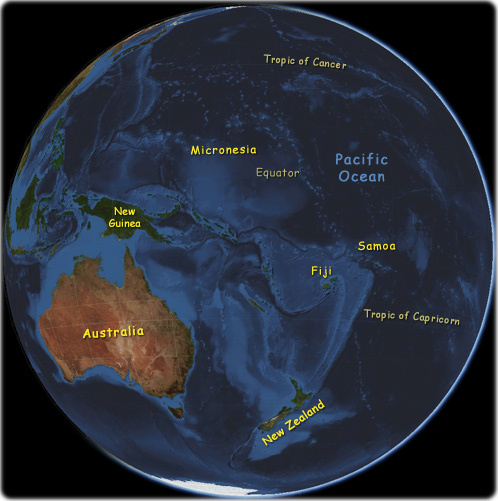 About the Geographic Guide, Maps Oceania, Pacific Islands and Australia. Žemielapis, Kort, Karte (Kartografie), Mapo, Kartta, Carte géographique. 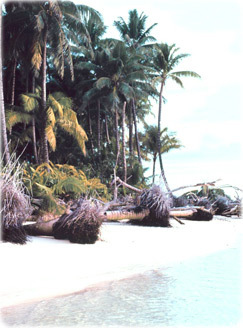 Palm trees knocked down by typhoon, Helens Reef, Palau Islands.